We’ve recently brought you a fair quantity of content on contemporary and classic supercars, and we’ll continue to do so. But fabulous though they are, supercars aren’t for everyone as ingress and egress requires a degree of athleticism, there’s limited space, ground clearance and rearward vision can be issues, and how many of us have seen the other side of 200mph on the speedo? Equally, owners of supercars are often in need of a more practical car – whether taking a long trip with luggage or requiring comfortable rear seating for the family – and there are some fast, luxurious and highly desirable grand tourer prestige cars out there. Cars like the Aston Martin Vanquish, Bentley Continental GT, Mercedes-AMG S 63 coupe and, by no means least, the Rolls-Royce Wraith – the most powerful model the company has built in its 113-year history. The Wraith was first unveiled at the 2013 Geneva show, and aside from a handful of cosmetically-enhanced special editions and the introduction last year of the £276k Black Badge variant which the company describes as ‘A bolder incarnation of the most powerful Rolls-Royce, the Wraith has remained unchanged over the past four years. The Wraith’s list price hasn’t changed much either. At launch in 2013 it was around £236k and it’s now only £4k more – plus any optional extras of course. A quick check of the 30 or so pre-owned Wraiths for sale across the UK shows that their asking prices range from £159,950 for a 22,000-miler to £235k for an almost new example with just 500 miles. Last year Rolls-Royce sold 4,012 cars in total. The firm doesn’t reveal production or sales figures of individual models, but it’s fair to assume that the Ghost would be the top seller, followed by the Phantom, and then the Wraith and Dawn probably in roughly equal and much smaller measures. The Wraith’s international press launch was held in Austria in mid September 2013 and I was among the fortunate few to attend. My updated-for-2017 review follows this, and because the Wraith’s basic specification hasn’t changed since launch then it’s as relevant now as it was then, whether new or pre-owned. As was impressed upon us during the Wraith’s launch, new Rolls-Royce models come about only very rarely. In fact there have only ever been about 30 of them, although six new Rolls-Royce models have now been launched since BMW took ownership of the brand in 2003, so such occasions aren’t as infrequent as they once were. By any measure, what is rare is a new Wraith model. The first and last one was in 1938, but it only lasted a year due to the outbreak of war. (It was revived in 1946 as the Silver Wraith and continued as such until 1959.) However, unlike the new Wraith with its sleek, fastback two-door coupe design and 6.6-litre twin-turbo V12, the old Wraiths were cumbersome and distinctly un-sporty, despite some being fitted with swish, two-door coachwork. Rarer still is the genuinely sporting Rolls-Royce, and arguably the last was the Phantom II Continental of the 1930s. Based on the Phantom II but with a shorter wheelbase, uprated suspension and a higher-compression engine, the PII Continental was a much less formal car for the affluent owner/driver. Unfortunately for Rolls-Royce, the ‘Continental’ moniker was first re-employed by its then sister company Bentley in 1952, and the name is still very much in use today. 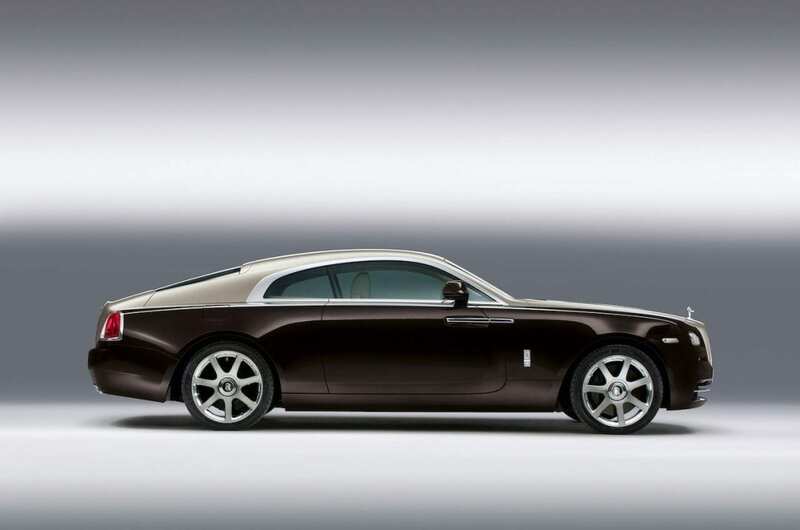 So although the Wraith is unquestionably a high-performance Grand Tourer, it perhaps doesn’t bear the name it deserves. However, the Wraith lacks little else as the Goodwood manufacturer has lavished everything at its disposal upon its latest model to create a modern motoring masterpiece. 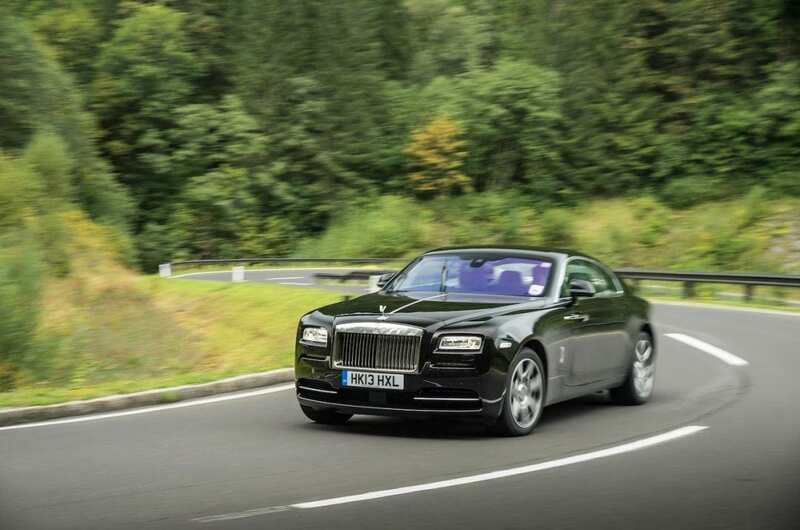 The Wraith coupé shares essentially the same chassis and engine as the Ghost saloon, except that the coupé has a 185mm-shorter wheelbase, power has been upped from 563bhp to a whopping 624bhp with torque increased from 575lb/ft to 590lb/ft, while the Ghost’s 8-speed auto transmission is ‘satellite-aided’ in the Wraith. By using GPS data to analyse the road ahead, the transmission anticipates the correct gear ratio based on the car’s exact location and driving style. Combined with almost imperceptible gear-changing, the clever transmission further enhances the Wraith’s sublimely relaxed driving experience, especially on a snaking road. 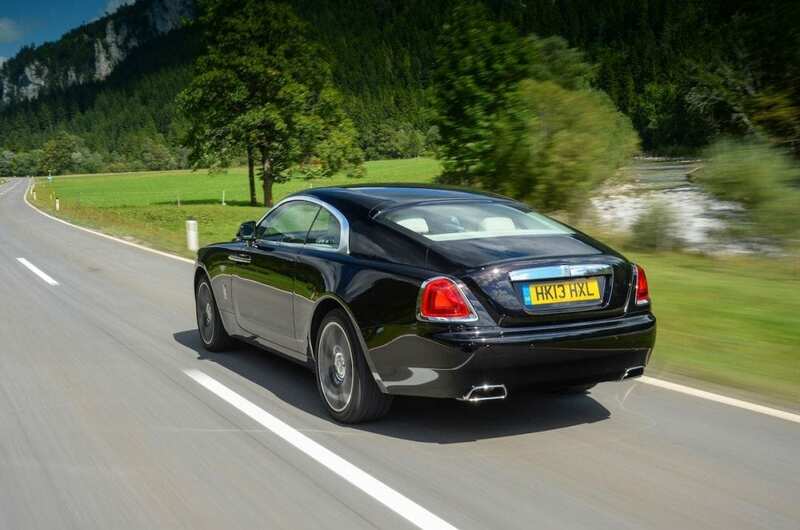 With so much power exhilarating acceleration is a given, despite the Wraith’s 2.4 tonne weight. Rolls-Royce claims that it can dash from zero to 60mph in 4.4 seconds with top speed governed to 155mph – that being no more than an easy jogging pace for this car. With enormous helpings of low and mid-range urge available overtaking is a breeze, even when there’s limited opportunity to do so, while cruising a motorway at legal speeds requires no more than five to ten percent of the big V12’s output. This extravagant surplus of muscle is complimented by very tidy handling in conjunction with a ride quality that makes even Rolls-Royce’s traditional ‘magic carpet ride’ feel like a skateboard on cobbles. The Wraith’s rear track is slightly wider than the Ghost’s, and it rides a little closer to the ground too, thus improving steering response and reducing body roll in corners. Handling is further enhanced by chassis management systems with variable damping and intelligent air suspension that compute an incomprehensible 400 individual load calculations per second and continually adjust the settings accordingly. Complimented by a plethora of electronic driver aids including anti-roll stabilisation plus dynamic traction and stability controls and more, the steering and handling characteristics also belie the Wraith’s appreciable size and weight. No, it’s not Ferrari agile, and it’s hard to judge its size (5.3 metres bumper to bumper) from the driver’s seat, but it nonetheless steers and turns with impressive precision. 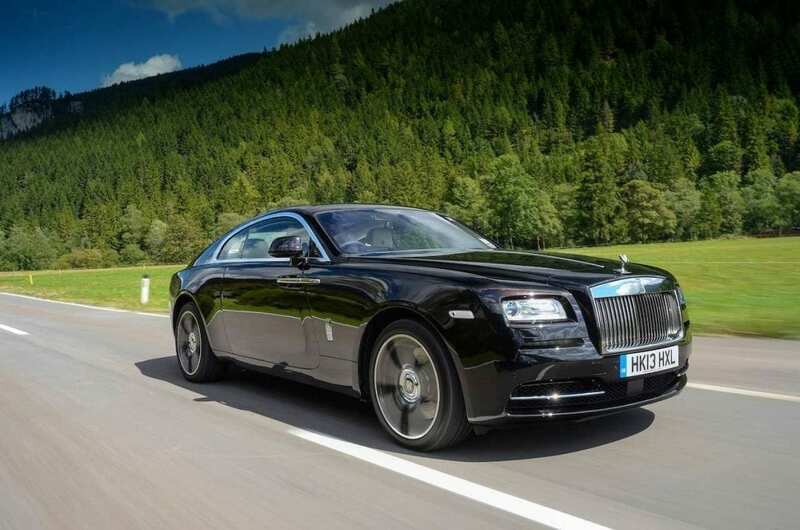 Although Rolls-Royce has long prided itself on the silent running of its cars, the Wraith’s engine emits a pleasant growl when working hard – a rare occurrence – and depending on the road surface there can be unobtrusive road noise from the huge 20-inch Goodyear tyres. At high speed there’s also a slight rustle of wind from around the door mirrors, but otherwise the car is serenity and calmness personified. Even the automatic wipers are inaudible. Ghost owners will instantly recognise the Wraith’s dash, controls and instrumentation, and this lends the car a more fashionable feel and contemporary ambience than does the Phantom’s more traditional interior. Bespoke personalisation is of course very much a part of Rolls-Royce ownership, but the fit, finish and the quality of materials has to been seen, felt and smelled to be believed. Those concerned about this fastback coupé’s passenger accommodation should worry not. Ingress and egress to the rear is easy enough, and there’s more than ample space in the back, headroom included, for two full-sized adults. The Wraith’s contoured rear seats are separated by a comprehensively-equipped armrest/console and comfort in the rear arguably exceeds even that of the Phantom’s rear bench seat. The 470-litre boot is suitably capacious and, like the Ghost and Phantom, a Starlight headlining is available. In the Wraith this means that 1,340 tiny fibre optic lights twinkle from above. Fabulous. Almost needless to say, on-board technology and connectivity abounds. There’s too much to list, so here’s a taste, (some standard, some optional): a ‘pull-and-pinch’ touchpad infotainment controller, voice-controlled navigation or remote navigation programming via an iPhone or iPad using Rolls-Royce’s Connect app, voice-activated phoning, emailing and texting, Real Time Traffic Info, a head-up display, night vision, lane departure warning, parking sonars, 360-degree top view cameras and, not least, a surround-sound audio system powered by an 18-channel, 1,300-watt amplifier driving 18 speakers. Rather than start another list, according to R-R, “no technical avenue has been left unexplored to ensure occupant safety”. But should all else have failed then there is Auto eCall which ensures that the emergency services are immediately aware of the car’s location via its GPS positioning. The various options fitted to my specific test car bumped its on-the-road price by about £53k, but assuming this is all within your means then you will unquestionably consider it money very well spent. As mentioned in the introduction, at the time of writing a 2013, 22,000-mile Wraith was being offered for £159,950, so there are savings to be had for those looking for a more affordable pre-owned car. 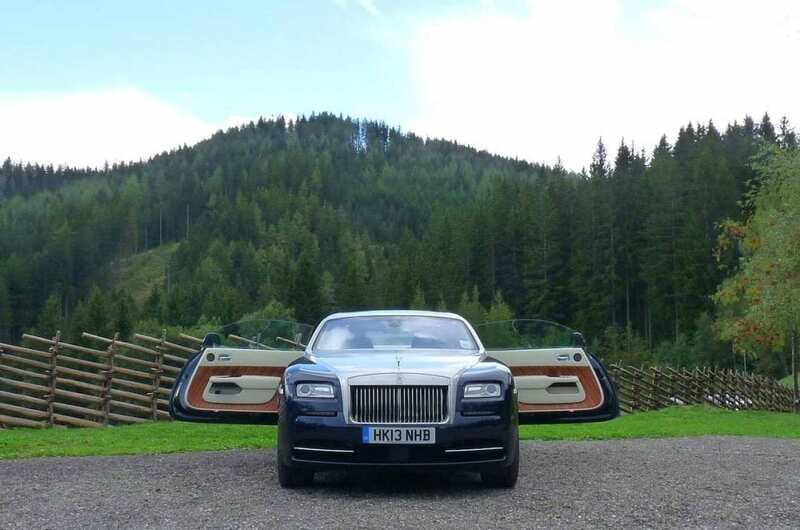 Over the longer term, though, the Wraith is a rare Rolls-Royce sporting coupé, so those residual values are likely to improve, although to estimate when and by how much would be guesswork at this stage. As with pretty much any car purchase the best advice is to buy a car you would enjoy driving and would love to own, cherish and keep. And with 624bhp at your disposal, even supercar stalwarts would concede that the Wraith is an awful lot of motorcar for the money. A Rolls-Royce on the drive will always be a dream for most but at JBR Capital we may well be able to swiftly build a bespoke finance package to suit your needs. So if you want to make that dream come true then please speak with one of our experts today on 020 3355 0035 to explore your finance options.